...Involved in a life of drugs and lost in the hippie culture of that time, John had a hard time of believing that Jesus Christ could actually be the answer to the emptiness he had been trying to fill with so many other things. But the very real transformation that had occurred in his friend’s life couldn’t escape his notice. 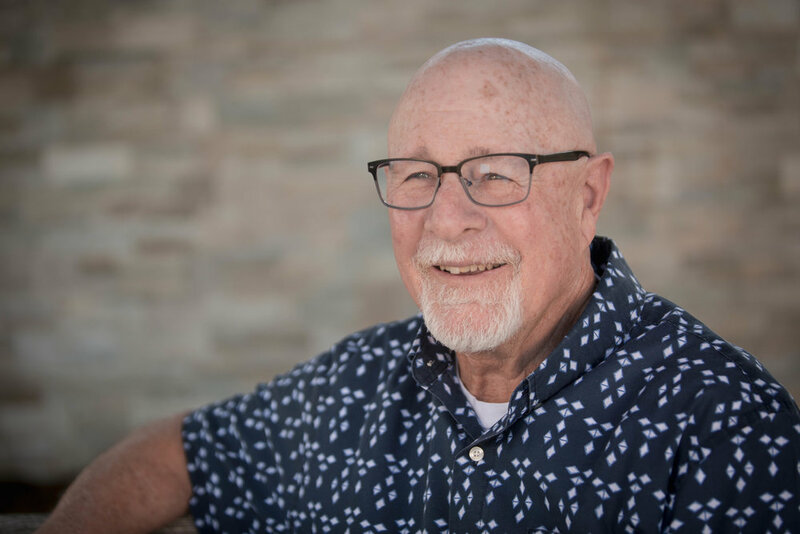 It was some months later in the midst of the well-known Jesus Movement (May of 1971) that John agreed to attend a Calvary Chapel Costa Mesa Bible study with his friend. Immediately touched by the love that was extended to him that night, John responded to the invitation to open his heart to Jesus Christ, and from that point on, his life was never the same! A love for God’s Word, and a passion to share it with others found John teaching a Bible study to a group of high school students later that year. Established in Calvary Chapel fellowships from the time of his conversion, John’s desire for ministry was evident from the very beginning. After marrying Robin in 1972 and while establishing a home for their 3 sons who would later arrive, John remained very involved in several local Calvary Chapels in Orange County. He continued to minister in Orange County until an invitation to come teach a home Bible study in the Inland Empire found John and Robin sensing God’s direction to move to the area. It was from this Bible study, which began in 1981, that Calvary Chapel Moreno Valley was formed. Quickly outgrowing the home in which it started, CCMV celebrated its first Sunday service in June 1982. ...It has been the joy of his life to be given the honor of teaching and caring for the flock at CCMV - a joy he whole-heartedly shares with his wife, Robin, who oversees the Women’s Ministry at the church. Together, they rejoice in the many opportunities of ministry the Lord has given them, and they look forward with much anticipation to all that He has in store for the future!